This is the second project we have completed with KozakRENO. They completes projects on time and on budget. Yurii listens to your concerns and provides solutions to any problems that may arise. His team is courteous and friendly. All together, a very pleasant experience. Thank you for your review.It was pleasure to work with you again. Iurii recently renovated two bathrooms in my house - the main bathroom and the master ensuite. His work is excellent and completed within the timeframe he estimated. He and his crew were polite, punctual and respectful of my space. I amazed by excellent job tiling and worked tirelessly until his job was done to keep the timeline of the project on track. They were neat and tidy - floors were vacuumed and all tools and supplies were in neat order before leaving for the day. 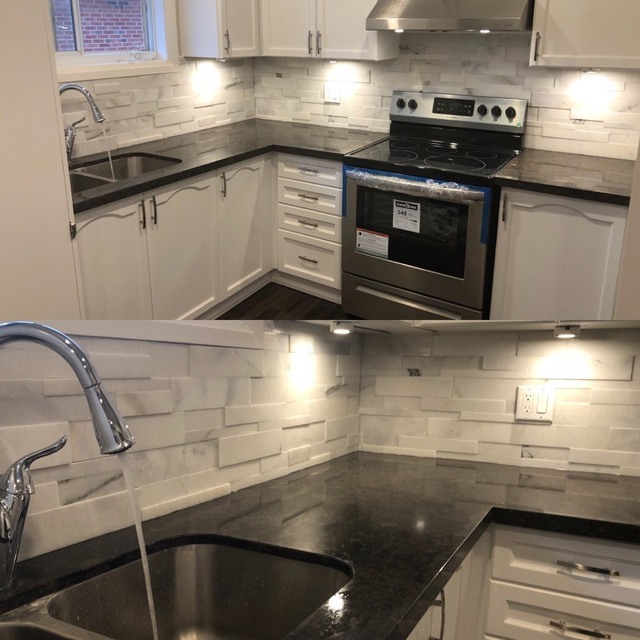 I would highly recommend Kozak Renovations for any projects in your home! Thank you Gala for this very detailed review. We look forward to working with you again! Thank you for your rewiev, we was glad to work with you. Thank you James. It was our pleasure to work with you and learn about new lighting gadgets and the cool Google Home ;) We love customers who like to get their hand dirty. 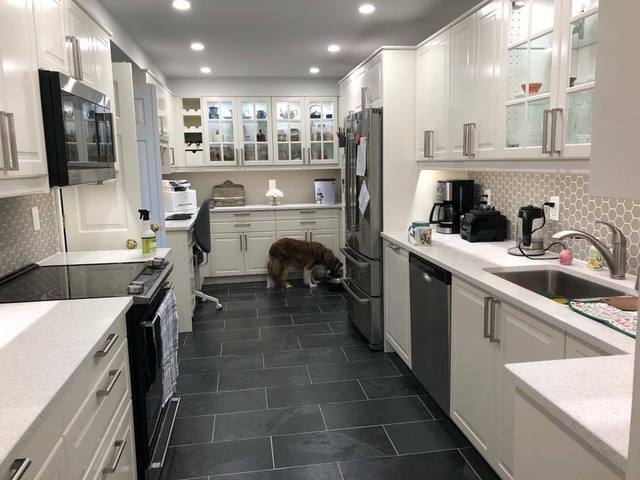 Your Ikea kitchen turned out awesome and your installation with all the challenges was amazing! Enjoy your new kitchen!!! Good quality work. Always cleaned up at the end of the work day. Pleasure to deal with. Thank You Julia for your review, it was nice to work with You and your husband. Yura and his team were very efficient. Our kitchen and dining room were once separate - now we have a huge open space that adds so much more to our home. From the initial talks to finish, everything went smoothly and the team provided valuable suggestions along the way that I didn't think of. I highly recommend their services. Thank You Tyler for your review. I guess You enjoin your new kitchen. We have worked with Kozak in many projects. He always takes care of his customers and gets the best price on materials. He works fast and proficiently. Professional and reliable. Thank You Kevin for your review, it was a pleasure to work with You. My brother recommended to finish my basement with Kozakreno as he did and I did not regret it. When Yurii came to the appointment for the first time, he gave a lot of wise advice on the design and practicality of using the space in the basement. A month after signing the contract KozakRENO began work and less than three weeks they finished basement at 1200 square feet. KozakRENO team was always friendly, testifying, kept clean, gave good advice. It was very easy and nice to work with Kozakreno. Next year I will start repairing the kitchen and 100% KozakRENO will do it. Thank you guys for doing a great job! Thank You very much for your review. 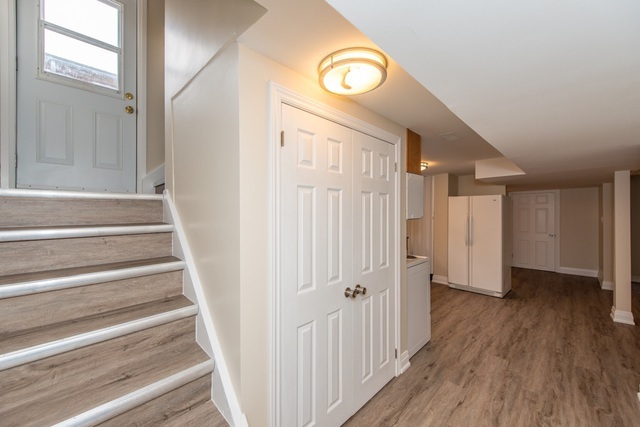 It was our pleasure working on your basement project. We are happy to hear You are enjoying. I have worked with Iurii for quiet some time now and always received the best service from him. He is always very prudent and efficient in his work. He is ambitiously motivated to get things done fast and strives for perfection. I find him very skilled and knowledgeable in his field, had problems trusting him that things would be done and done the right way. He had done a few projects for me and always completed it well and 100%! Would definitely hire him for my next project! Thank you Iurii! Thank you Alina, we are so appreciative when we get great clients like you. You were such a pleasure to work for and we had some good times with you throughout the renovation. We felt like family while we were there. Thank you for making us feel so welcome and being a great client. A few months ago we finished our basement with KozakRENO. I invited 5 contractors for estimates and went with KozakRENO even though their quote was not the cheapest one (rule of thumb: don’t go with neither the most expensive nor the cheapest). Yuri was very prifesdional and gave us tons of recommendations and ideas. He promised to finish work in a month but finished in 11(!) working days. Everything was professionally planned. It was very important for us that house remains clean during the renovation and Yuri didn’t let us down. Not to mention that Reno lasted for two weeks only. Thank you very much to Yuri and his team for our new beautiful basement. I would recommend KozakRENO for anyone who wants to get a very good job at a reasonable price. Thank you Maria for your review! It was our pleasure to work with you and we are glad that we met your expectations! KOZAK RENO is a versatile company which provides services in many trades. The business assures a timely completion with each job without compromising quality or satisfaction. Our team is very knowledgeable in this industry and as a result, can provide professional recommendations to any project venture. Commercial or residential, we are here to be of service to. Kozak RENO is one of Toronto’s leading renovation specialists. 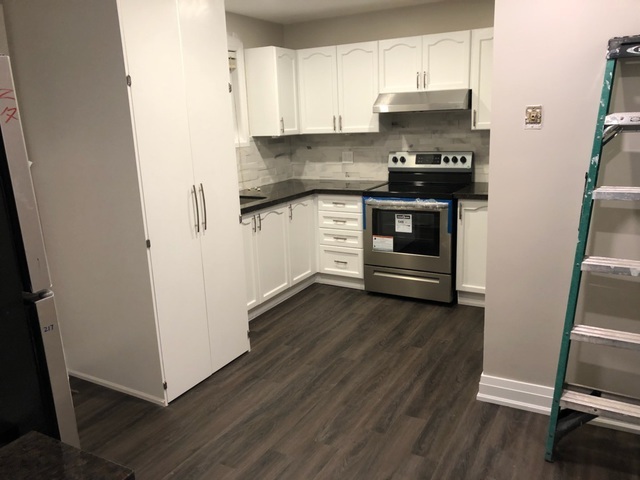 For over 10 years, we have provided a full spectrum of services, including kitchens, bathrooms, Toronto whole house renovations and basement finishing. From planning & design, through all phases of construction using our project management software, we provide the expertise, trades, and suppliers required to make your project a successful one. We have built a solid reputation with our clients for quality workmanship, and project professionalism. Our unique approach to working closely with our customers and our care for craftsmanship, has lead to countless successful renovation projects.